Smoking in schizophrenia and other psychiatric conditions. 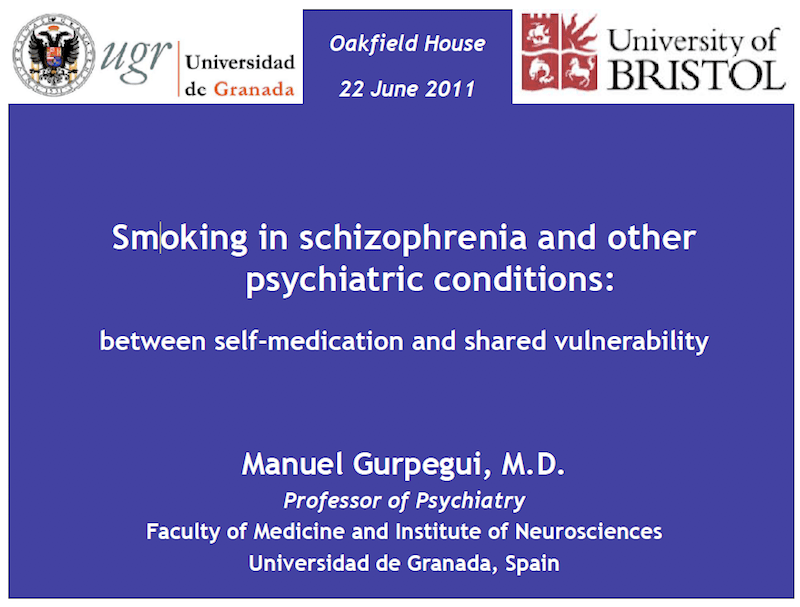 Profesor Manuel Gurpegui: Smoking in schizophrenia and other psychiatric conditions. Lugar y fecha: Bristol (Reino Unido), 22 de Junio del 2011. Smoking in schizophrenia and other psychiatric conditions: between self-medication and shared vulnerability.